I am an IT professional who enjoys working on motorcycles and cars. 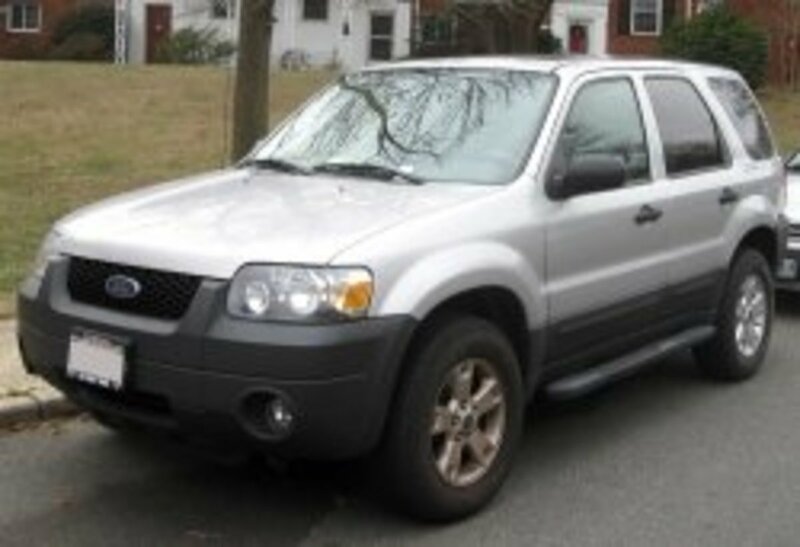 The Ford Escape is one of America's most popular SUVs. It is great for a family who has one or two kids with a roomy back seat and great cargo space. 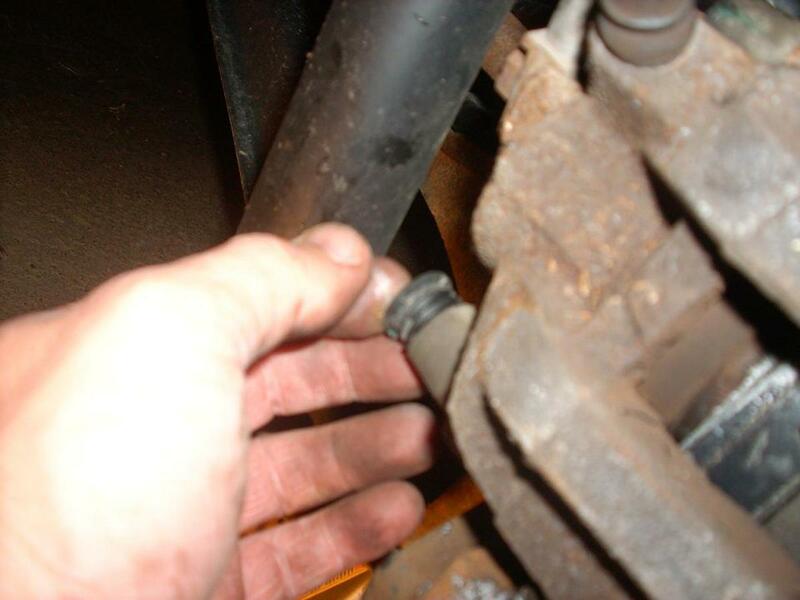 This how-to will walk you through changing the brake pads on a 2006 Ford Escape 4X4 with a V6 engine. 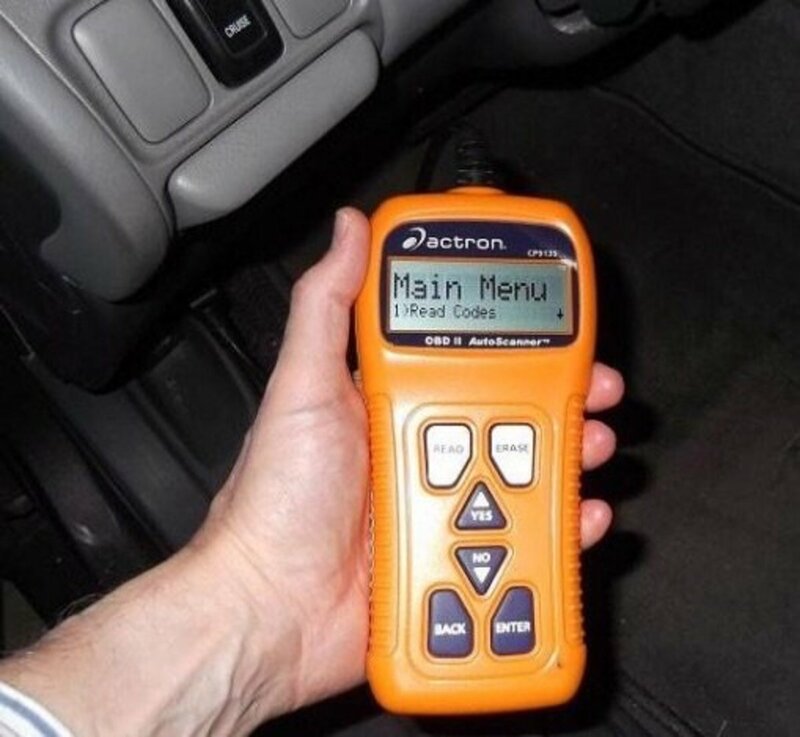 This is also applicable for 2001–2007 Ford Escapes, as these years share the same body style and mechanics. 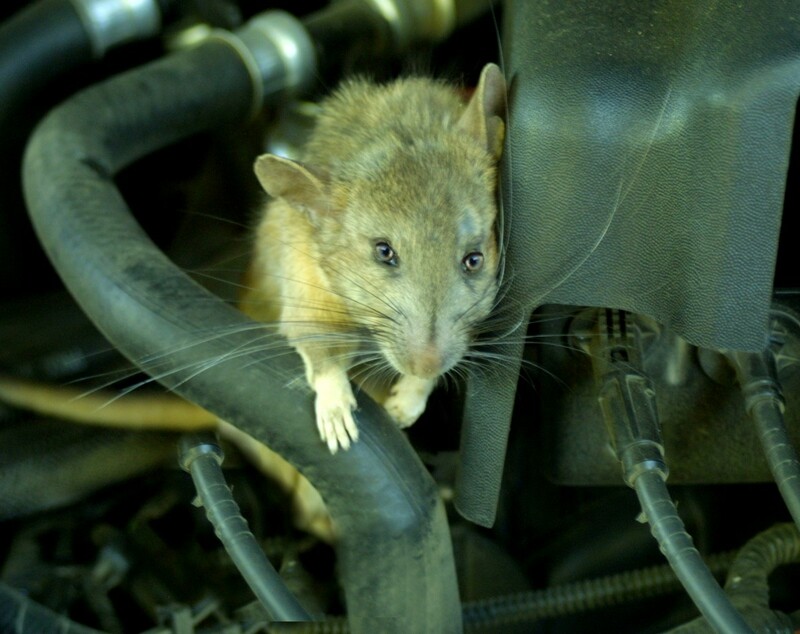 It's a pretty easy job for the home mechanic. It happened one day when I was going to work. Every time I would turn right the rear driver's side wheel would make a sound of metal contacting metal. The sound would vary with the speed of my car. When I finally got to work, I touched the rim of each tire to see if one was unusually hot. This would indicate that the brake caliper on the unusually hot rim might have a piston that is not moving freely. But all rims felt about the same warmth. I did notice that the rotor on the rear passenger side wheel was not smooth to the touch and had several deep grooves. I used this manual to help guide me through the brake pad replacement. 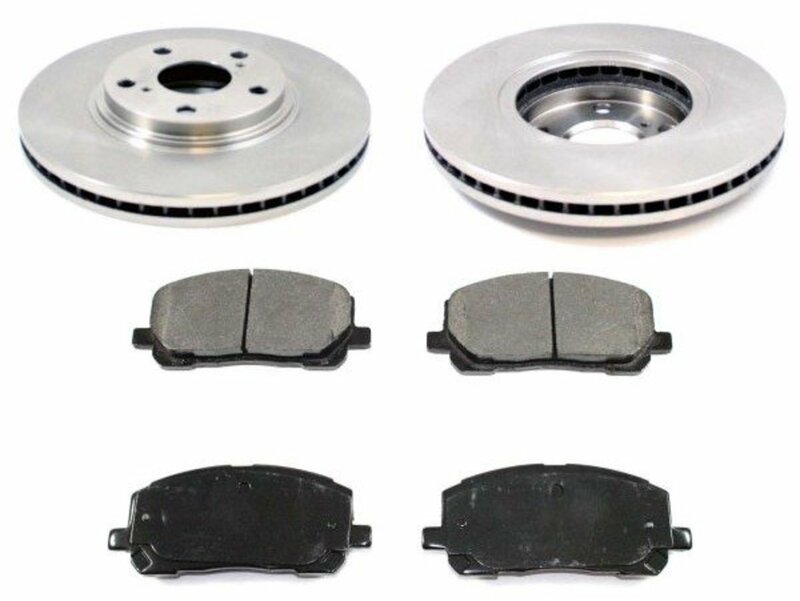 In advance, I ordered new brake pads and rotors for both the front and rear of my car. I have such little spare time these days that it didn’t make sense for me to pull my brakes apart to fix the problem, only to have to pull it apart again in a year to replace the rest of the brake pads because they wore out. These days I also always replace the rotors at the same time I replace the brake pads. I replace the rotors instead of having them machined because very few auto parts stores machine rotors these days. The ones that do don’t always do a good job of removing the spiral caused by machining, which causes the brake pads to rap against the center hub as the brakes are applied. Besides I was able to get front and rear rotors for my car for under $200. 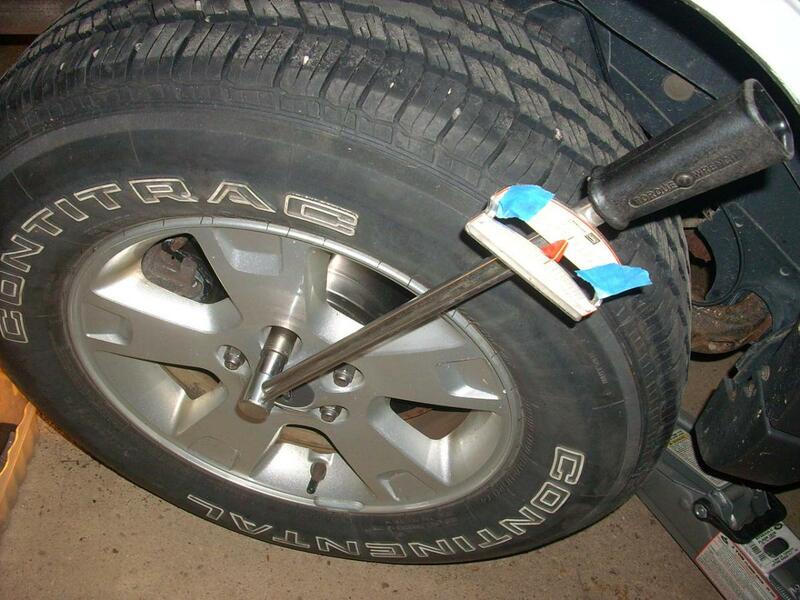 Before jacking up the car I put wheel blocks on the front wheels to make sure my Escape would not roll. Then I used four floor jacks, two by each rear wheel under the frame, to make sure my Escape would not fall. I used double jacks at each wheel so if one jack failed the other will still keep the car from falling. I started by looking at the rear passenger side wheel, that was the one that was making the metallic noise. You can see the grooves in the rear passenger side brake rotor. The first thing you need to do is compress the pistons back into the caliper. You do this by putting a big C-clamp around the front and back of the caliper then turning the screw on the C-clamp until the pistons are all the way back in the caliper. 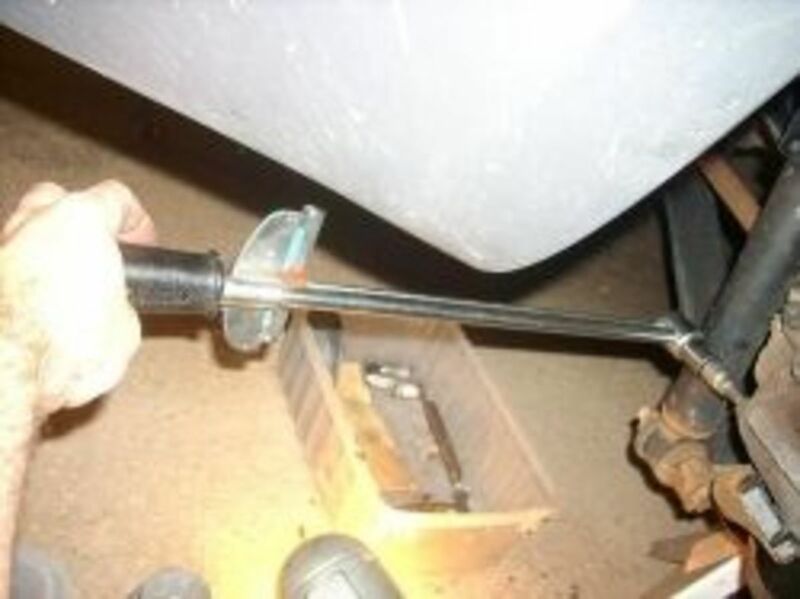 You need to do this so that the new brake pads fit. Next, it is time to remove the caliper. There are two slider pins, one at the top and the other at the bottom, that hold the brake caliper in place. I call them “slider pins” because the brake caliper slides on these pins to compensate for brake pad wear, and for the brake rotor wobble. You need to remove the caps and use a hex socket to remove the pins. Once the pins are removed you need to slide the caliper off of the rotor. This may take a little persuasion as the caliper may be rusted in place. As you can see, in my situation my brake pads still have brake pad material attached to them. I am not sure why these brake pads caused the grooves in my rotor so I am going to replace them anyway. 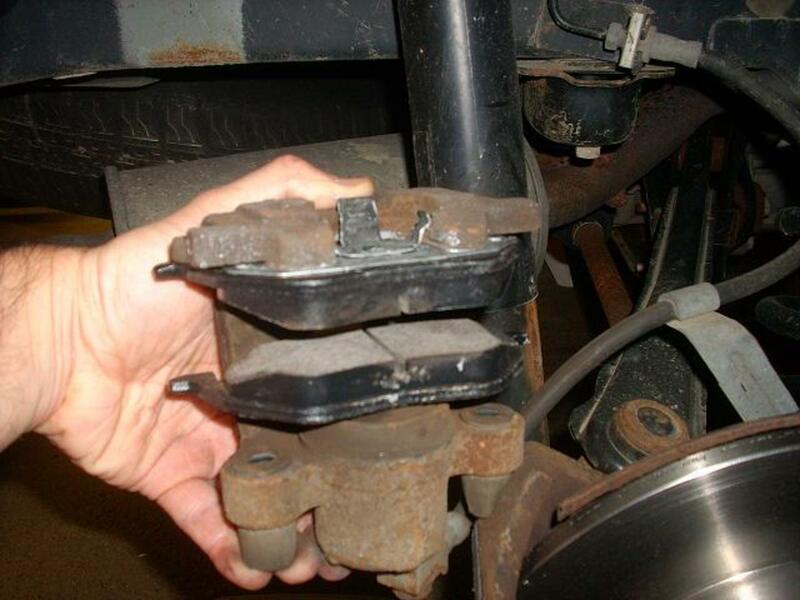 Remove the brake pads; they are just held in place by metal clips. 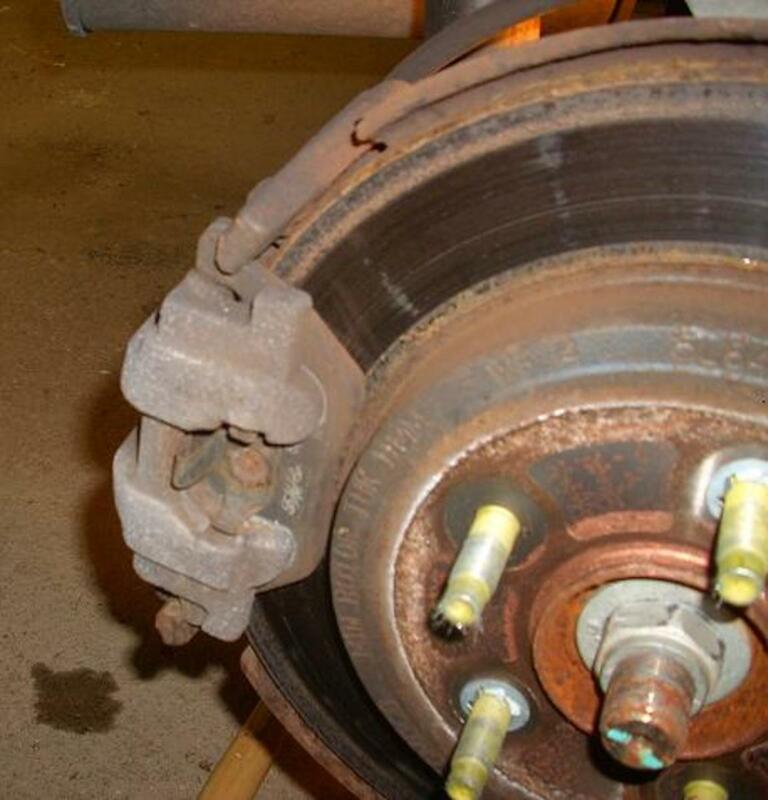 You need to suspend the brake caliper so that it does not put undue stress on the rubber brake line. Next, you have to remove the rotor. The first thing you have to do is remove the expletive clips. Those metal clips on the studs that are holding the rotor on. I call them expletive clips because, most likely, when you are trying to remove these clips, you will hurt your fingers and yell an expletive! You can just clip these off with a good pair of wire cutters and discard them, they are not needed and were just put there to hold the rotors on during the assembly process. 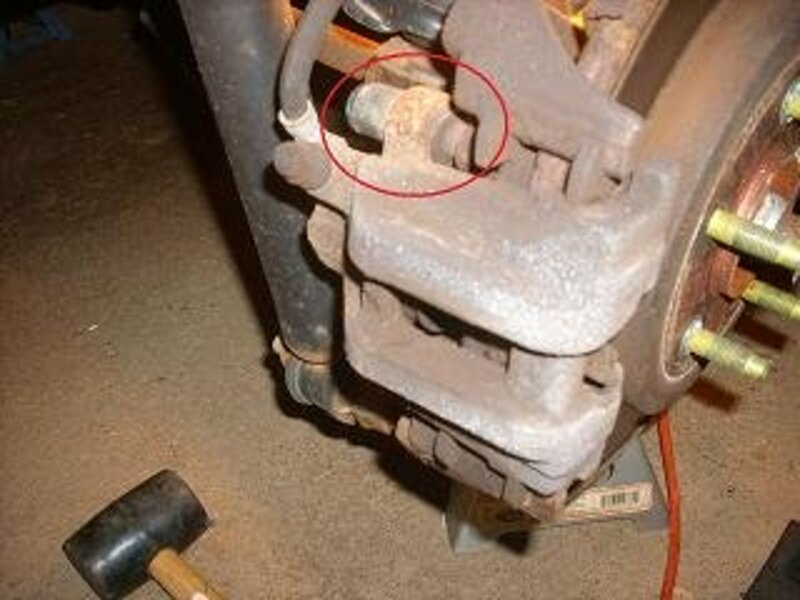 Notice this picture shows the brake caliper is not removed. This was a mistake; I forgot to take a picture of the rotor with the brake caliper removed. Below is a picture of the rotor after it has been removed. The rotor may need some "persuading" to come off. It is probably fused to the hub by rust. I had to pound on the rotor for ten minutes with a mallet to get it to come off. 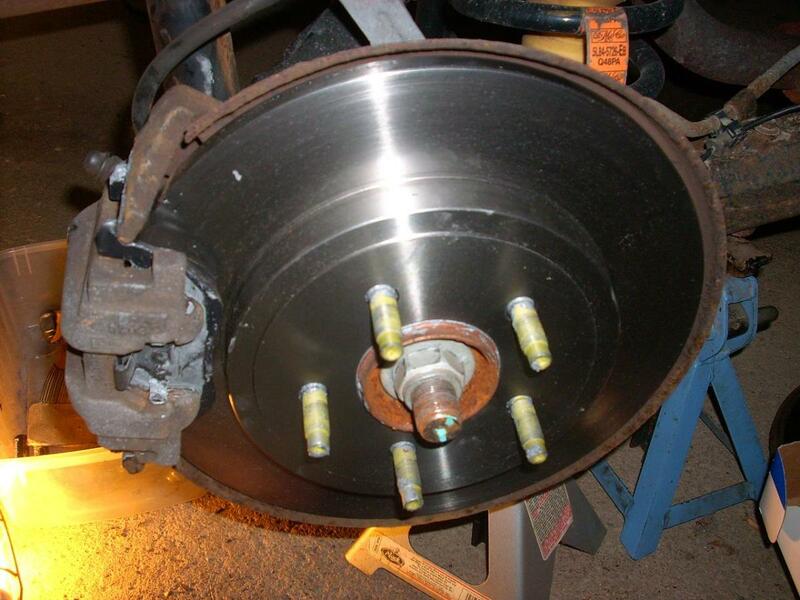 I recommend replacing the rotors at the same time as you replace the brake pads. My rotors had such deep grooves cut into them that turning was not an option. Even if they didn't have grooves cut in them, I would replace them anyway as I have yet to find an auto parts store that does a good job on turning rotors. 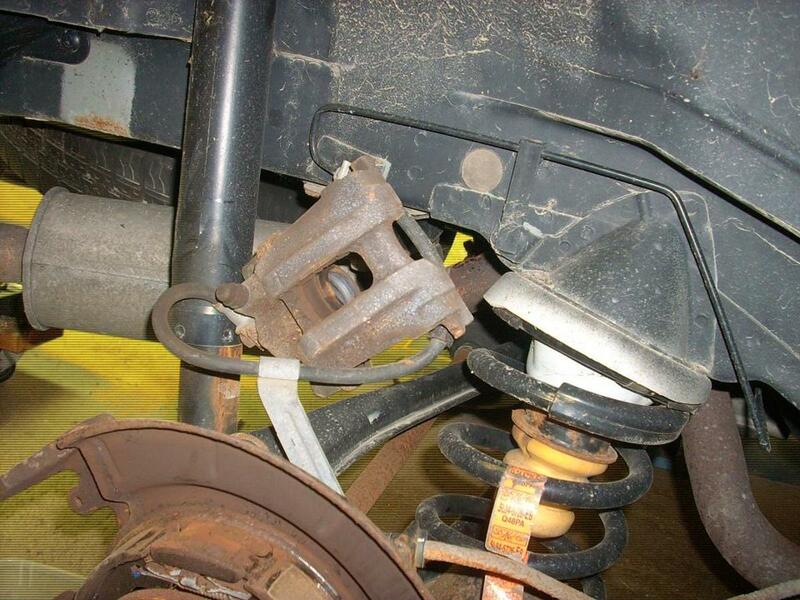 Notice the brake shoes in the picture? 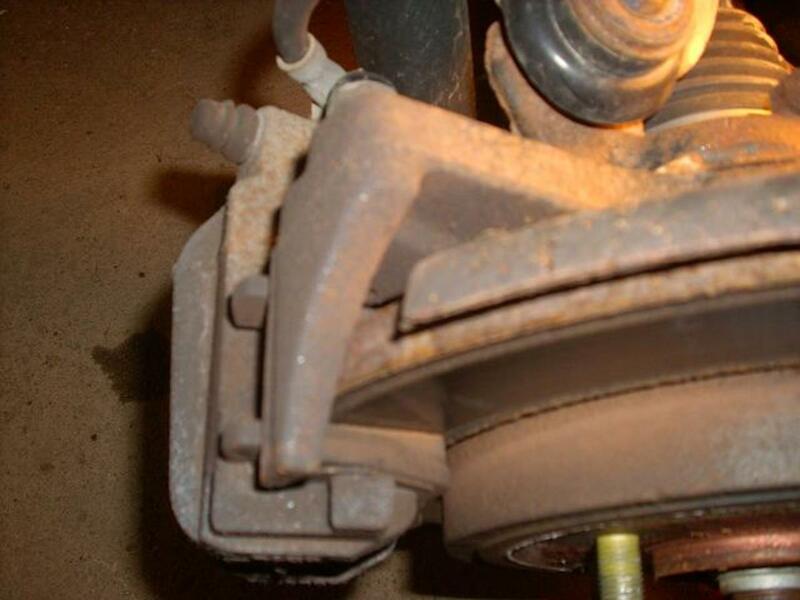 These brake shoes are connected to the parking brake. Only the rear brakes are equipped with these brake shoes. You typically do not have to worry about replacing these shoes unless you accidentally leave the parking brake on while driving. Time to prep the new rotors. 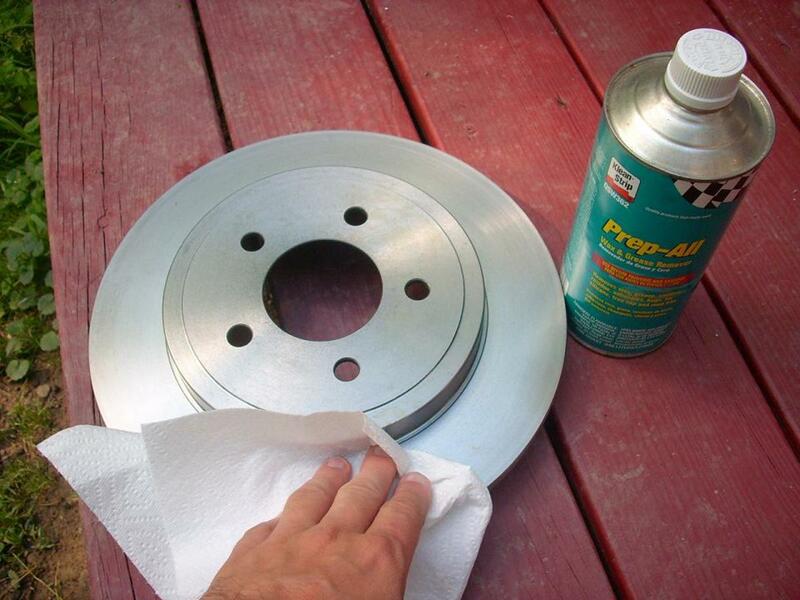 You must first remove the light oil on the rotors used to keep them from rusting during shipping. I used Prep-All, a product used to remove wax and grease from a surface before painting. Before putting the new rotor on, treat the hub to a coat of anti-seize compound so you won’t have a problem with removing the rotor in the future. Sliders Must Be Able to Slide! Next you need to clean up the slider pins with a very fine grain sandpaper to remove any rust. If there is rust on the slider pins the brake calipers will not float freely and will cause premature wear of the brake pads. Then I coat the contact points that the brake pads slide on with some more anti-seize compound, careful not to get any on the surface of the brake rotors. If you do, wipe it off which a clean paper towel. 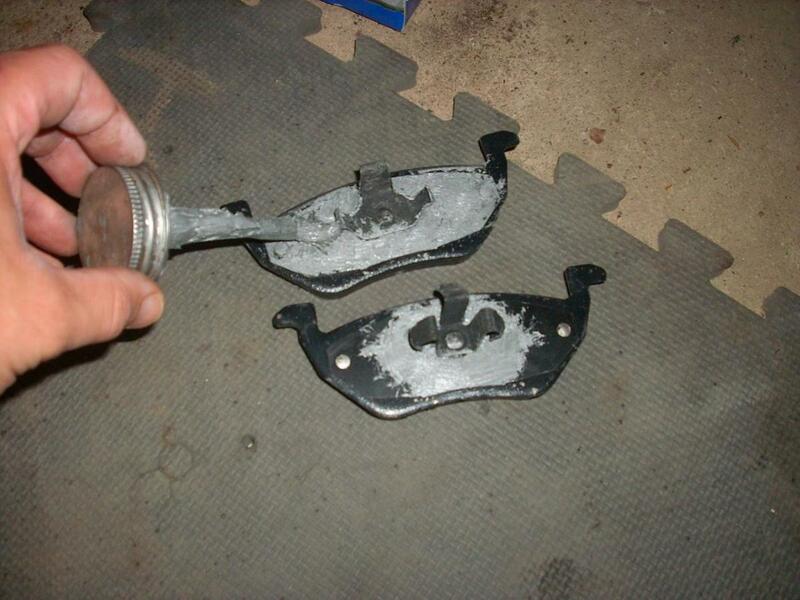 I also treat the back of the brake pads with some anti-seize compound to prevent the brake pads from squealing. 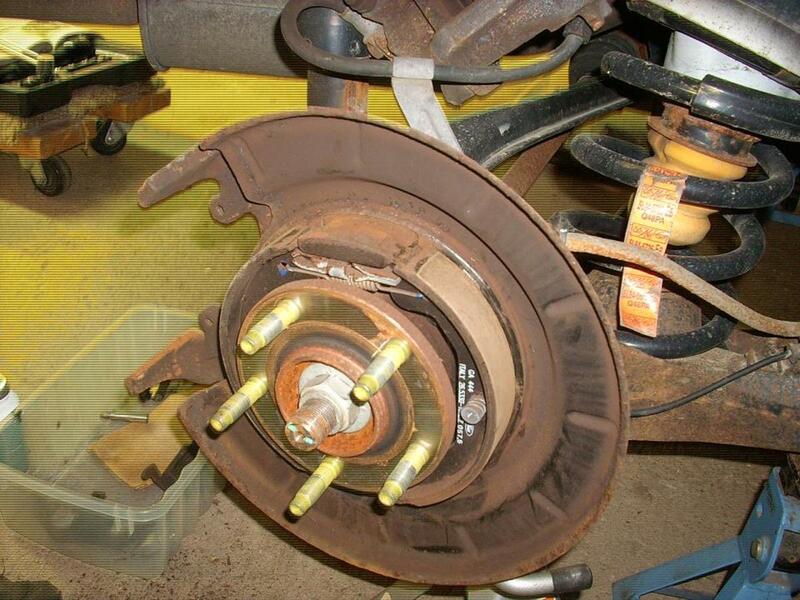 Make sure you don’t get any anti-seize compound on the wear surface of the brake pads. If you do wipe it off which a clean paper towel. Here is a picture of the caliper with pads, ready to be attached onto the backing plate with the slider pins. 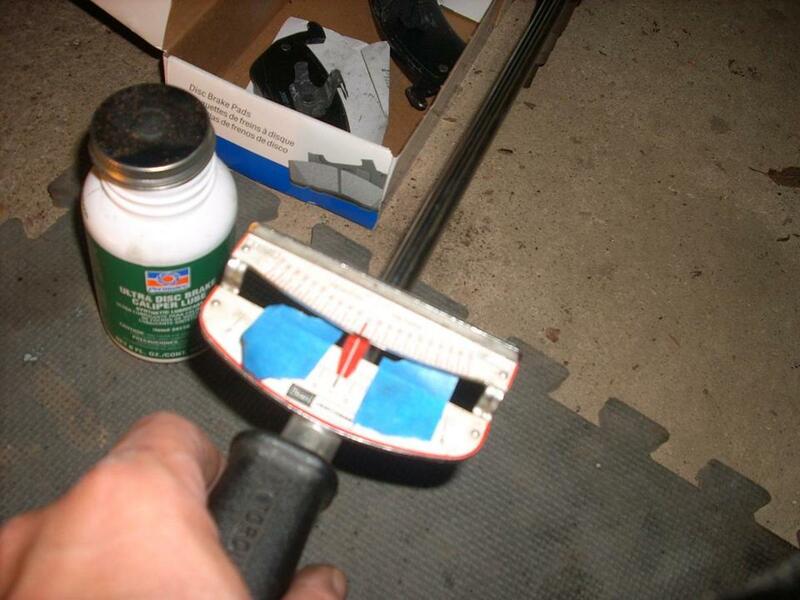 Make sure you coat the slider pins with high temperature grease before screwing them into the backing plate. Always, always, always torque the slider pings to specification. The Haynes manuals list the torque specs at the end of the brake section chapter. I am sure Chiltons and other publishers will list the torque specs as well. I have a low cost Craftsman torque wrench from Sears. From certain angle I cannot read the gauge so I put masking tape on the dial indicator to indicate the proper torque. Make sure you put the caps on, over the end of the slider pins. 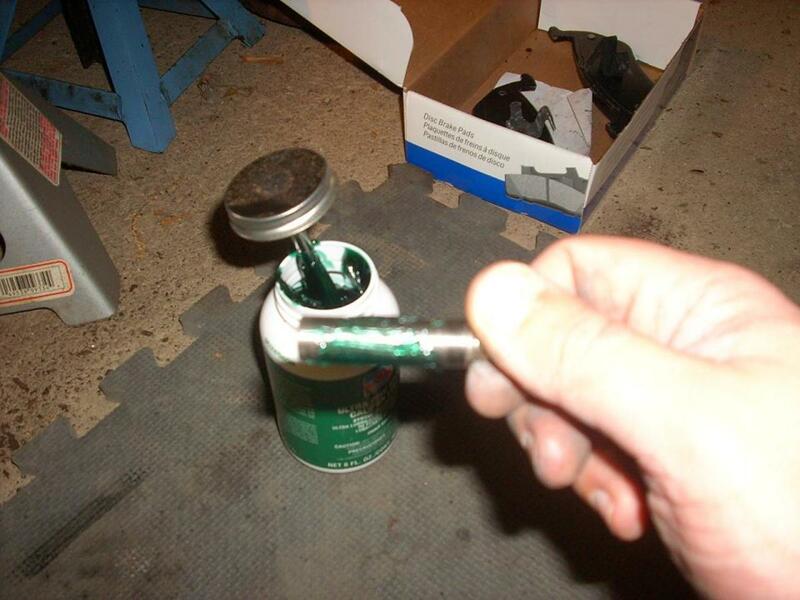 This will prevent water, rust, corrosion, and salt from getting in screwing up the hex head. Here is the finished product waiting for the wheel to be installed. 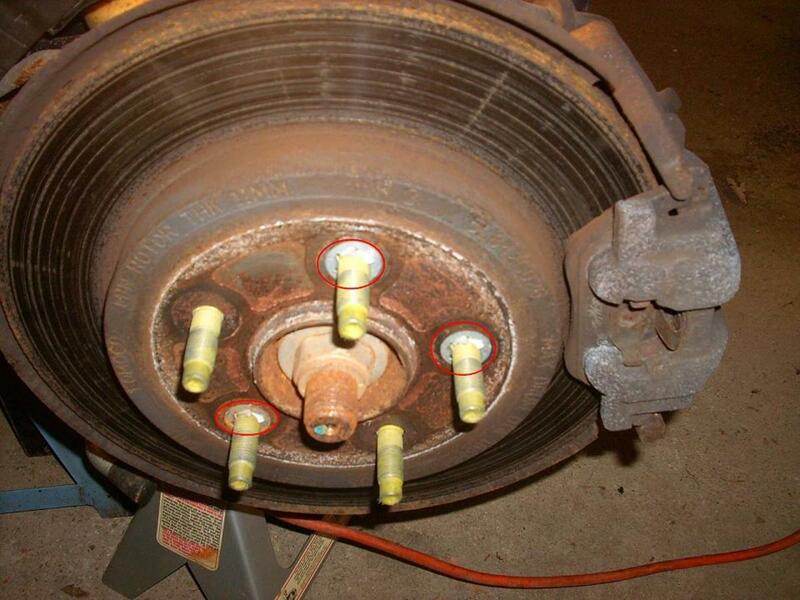 Make sure you coat the lug bolts with anti-seize compound. You will thank me later when you have to remove the wheel. Only You Can Prevent the Use of the Persuader! Also, put a light coating of anti-seize compound on the back of the rim where the rim mates with the brake rotor. This will prevent the two from rusting together necessitating the use of the persuader (a big mallet) to get them apart. 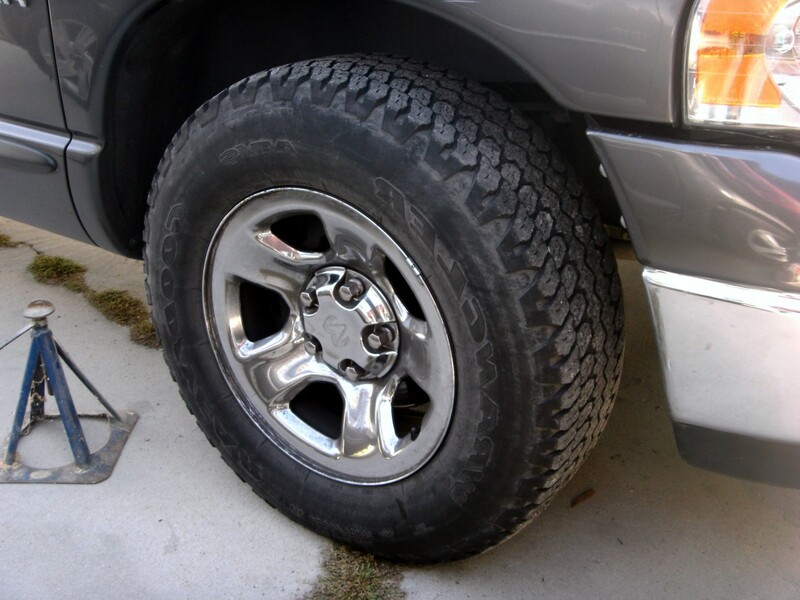 With the wheel still off of the ground, tighten the lug nuts in a star pattern until they are snug. 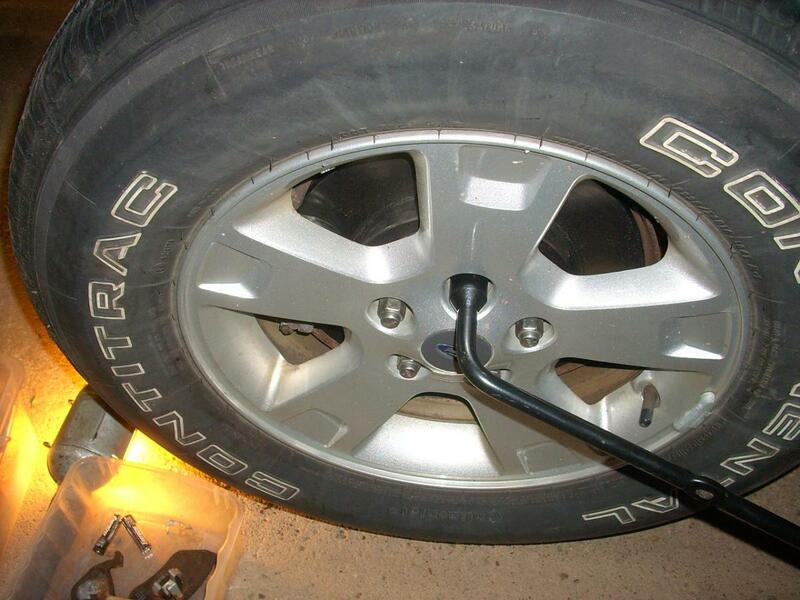 Remove the jack stands and carefully lower the wheel until the tire is just touching the ground. 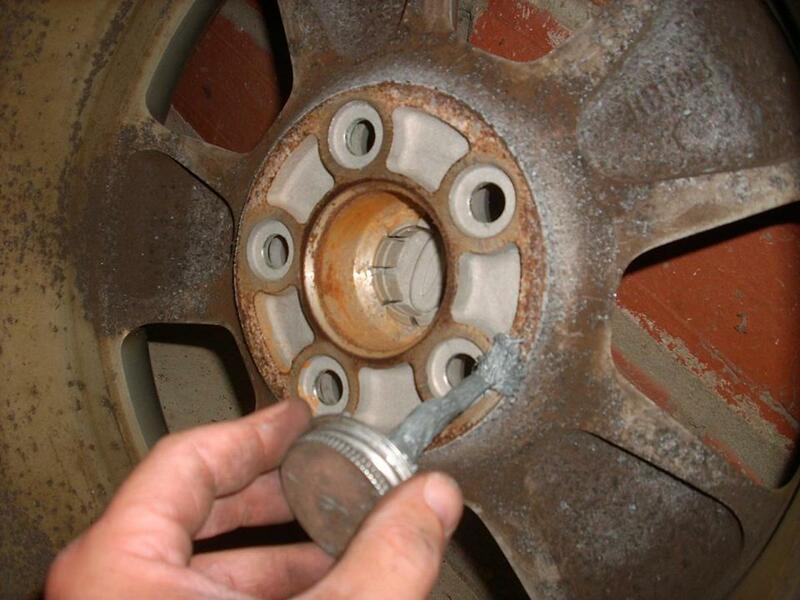 Use the torque wrench to tighten the lug nuts to the specification in your repair manual. This is very important!!! If you over-tighten the rim it could cause the brake rotor to warp! OK, so that is it! You did one wheel now on to the three other wheels. It should go must faster on the other wheels as they are pretty much all the same. The only difference is that the calipers, brake shoes, and rotors are bigger on the front brakes due to the need for more stopping power. On the front brakes there are not brake shoes for the parking brake. 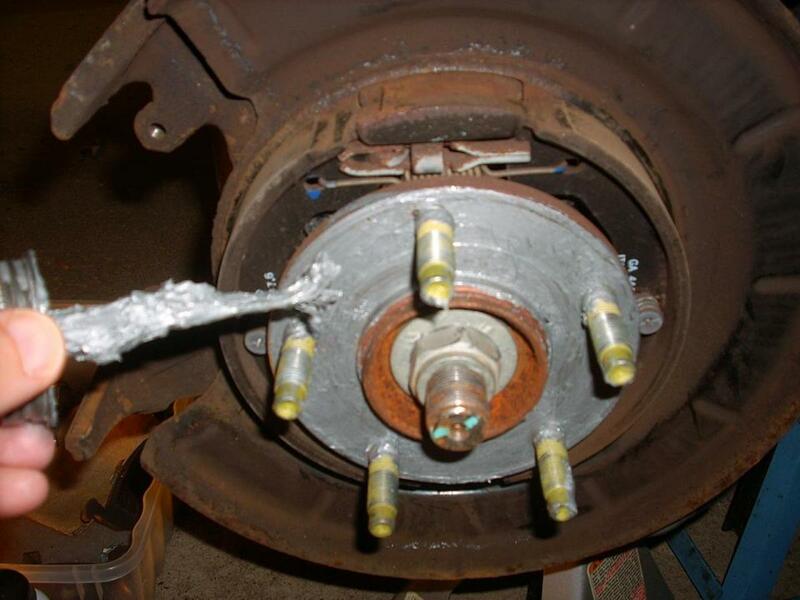 Was your brake job easy? Yes, It Was a Breeze! 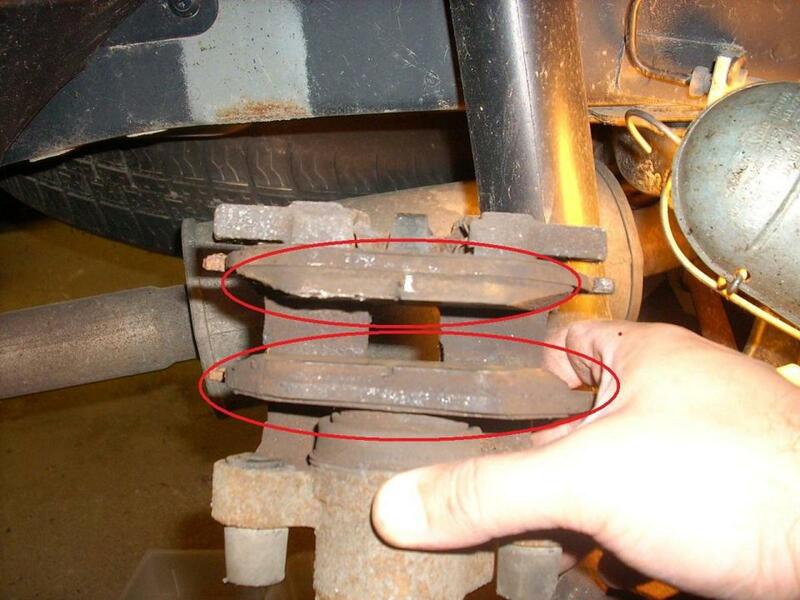 anonymous: I'm no beginner but I just wanted to tell you how awesome I think your tutorial is!I was just looking for info on how the rotors are attached before doing the rears on my Father-in-Laws 2007 Escape when I came across this. You get a gold star! blanckj: I've had plenty of practice. I've mostly done Ford cars and not so many SUVs. However, I've done an Explorer and a Ranger. I'm a sucker for Ford's can you tell? 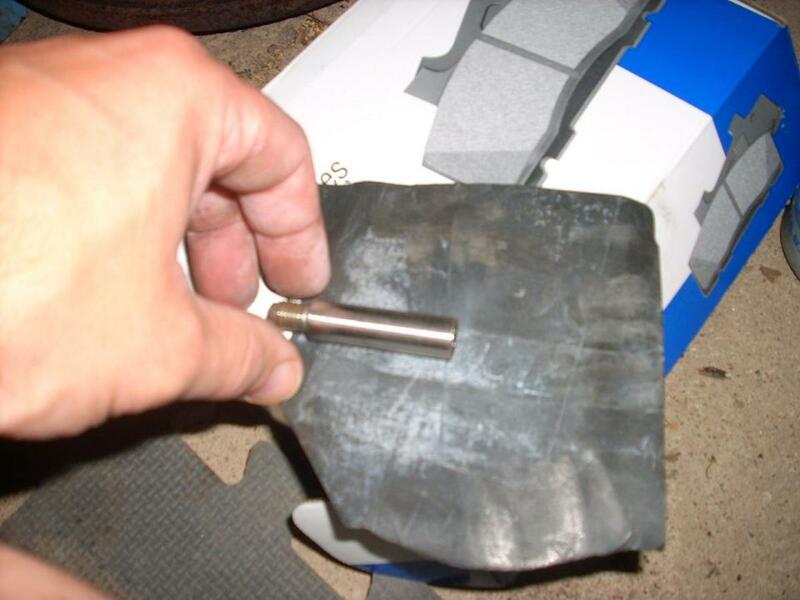 jbdkz: I did not use any special "Ford" tools during the brake pad and rotor replacement. curtis62: They can be at times. I use to do a lot of paper routes for our local newspaper. 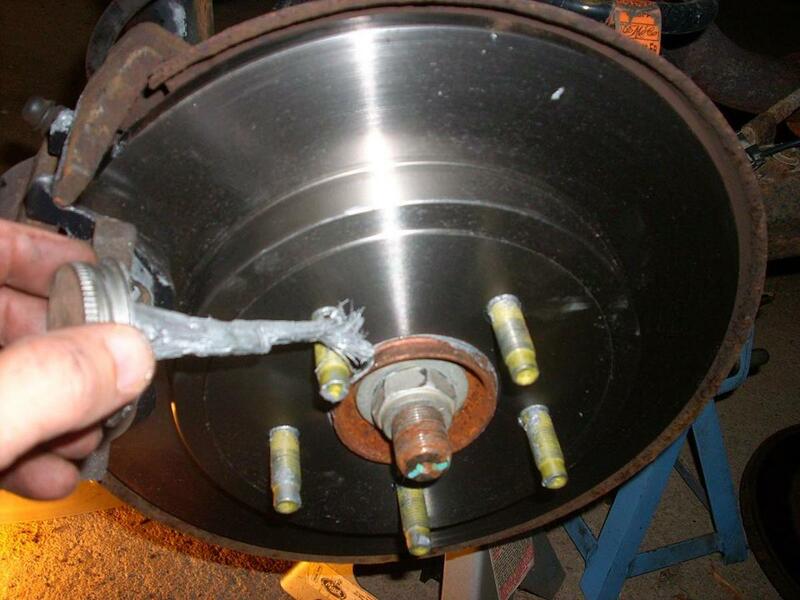 Brakes can last 2 to 3 months. 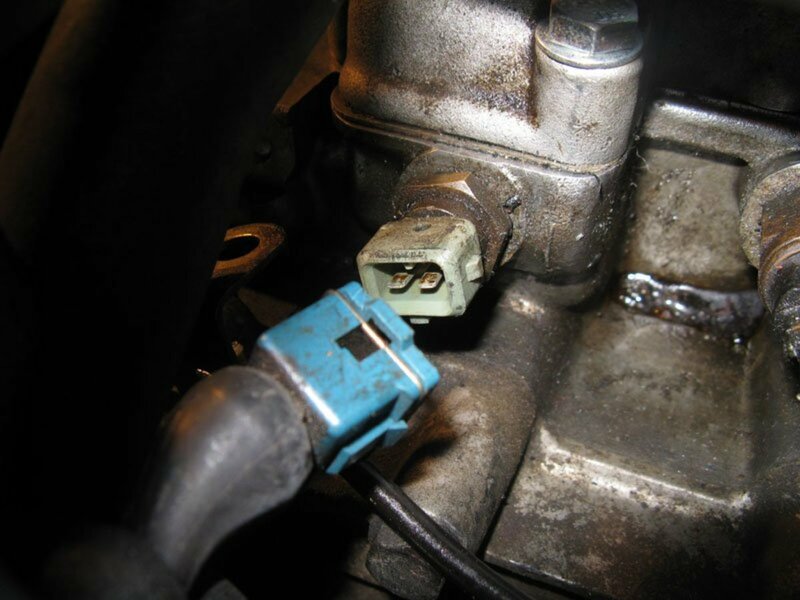 One problem you may run into is the rubber brake line that attaches to the caliber and the copper brake line. It has a valve in it and over time becomes clogged or none working. 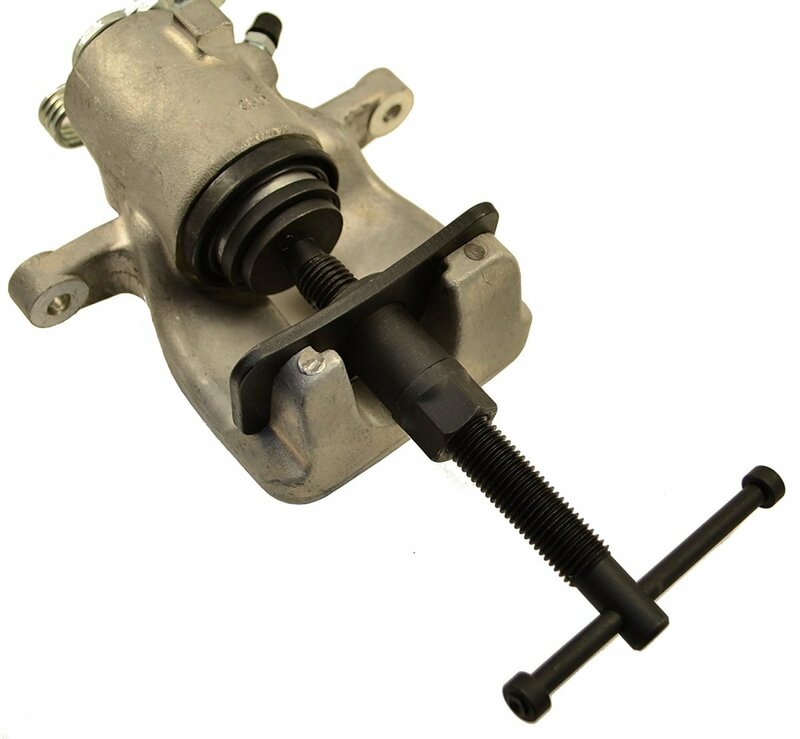 This valve may not allow your calibers to release quickly or very slow, and eventually the brakes will lock up. This can happen slowly over time. If you continue to do brake jobs and not replace this line. After awhile the brakes will lock up. A good indication is if one side of the car is always thiner than the other side and is hard to bleed. anonymous: Follow up on "it was a breeze". Thank you for explaining the "expletive" clips as I had run into those when replacing rear pads about 3 years ago but needed rotors at this point. 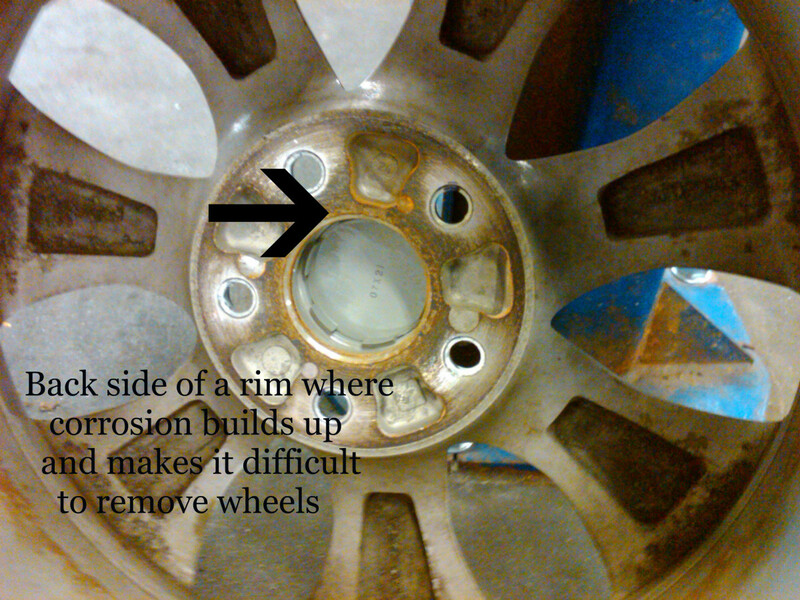 Interesting is that you experienced same problem with passenger side rear wheel as we did. Had 80% front brakes remaining but rear passenger side totally gone. Vehicle was still under warrantly then but Ford said such wear was "normal"....HA! Anyway, great article and THANK YOU. No Way, It Was Really Hard. Any Comments on My Article? @bstone2022: Thanks for sharing! I have a complete Hex bit set so I didn't really take note on which one fit. I just tried each one until I found a fit. 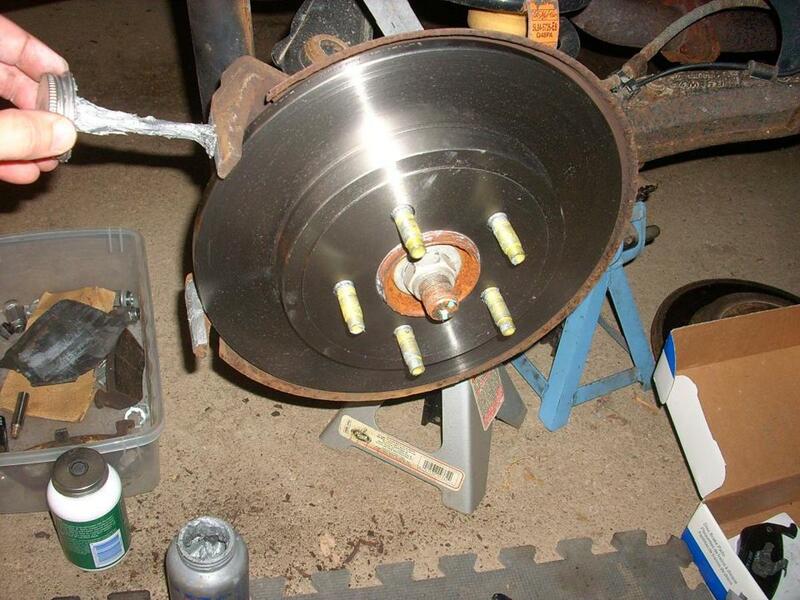 @bstone2022: I did not have any issues after the rotor and pad replacement. No pulsating brake pedal or noise. I consulted my Haynes manual for the torque specs. I recently upgraded to a new Escape and not longer have my Haynes manual for this Escape model. Do you know the torque setting for these specific caliper pins? I've read that it's 18 ft-lbs. 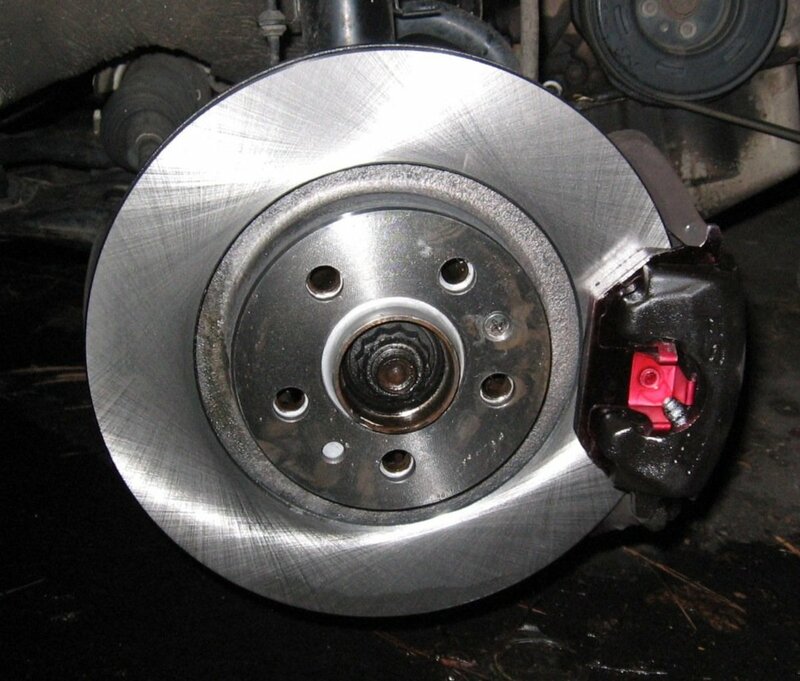 Also, since your pads had life left and were grinding when turning, I'm wondering if perhaps you had a kink in a brake line or a sticking caliper. Have the new pads been quiet so far? I believe the rear calipers use a 7mm hex bit (allen socket). These are relatively easy to find at most hardware and auto stores. The front calipers use a 9mm hex bit. These are much harder to find. I'd recommend you order online for these. @cgregor1234: I am sorry that I did not include this in the Lens. As I recall, I had a Hex set that went on the end of a socket wrench and just picked the one that fit. Once you find the right size I would be happy to add to this Lens so that others will not come across this pitfall. Another user here. Tried getting the front brake pads off to do the job...... WHAT SIZE HEX WRENCH IS IT? Multiple trips to NAPA, no luck. good lens. once I figured out it was a 7mm it was easier. Excellent lens! I wish I had the time to do this on my vehicle - I'll probably have to settle for letting a mechanic fix my brakes! Well this was interesting for sure! So well explained and with pictures too? I might actually be able to do it without tearing something up.. but then again :( ... I might have to call and see how much you'd charge.